It's finally sweater weather and I'm loving it! I am a big fan of this particular sweater because the style is super comfy and easy to wear, and it's so pretty! 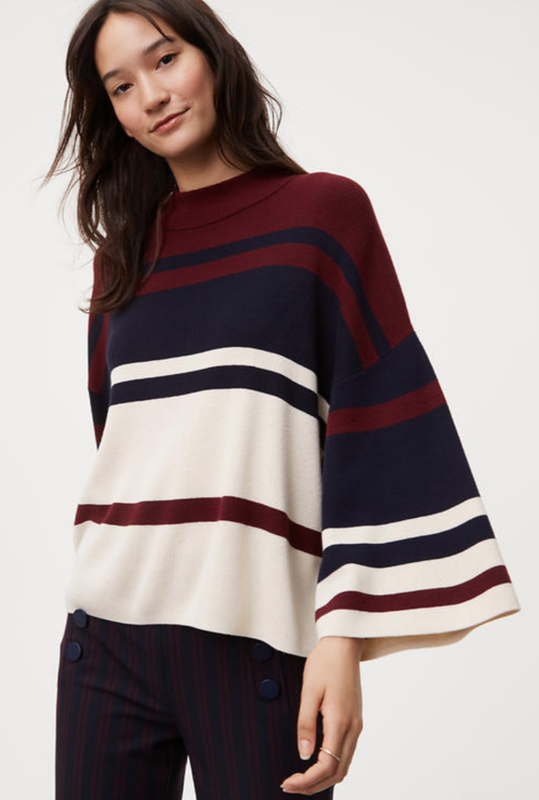 The mock-neck makes it looks super sophisticated, perfect for work, dinner out, or any occasion where you want to appear somewhere in between dressy and casual. I paired this with my fav pair of stretchy black pants and some fun jewelz. To take this look to the next level, pair it with some black pumps and you're good to go for a not so casual but still comfy, Friday.